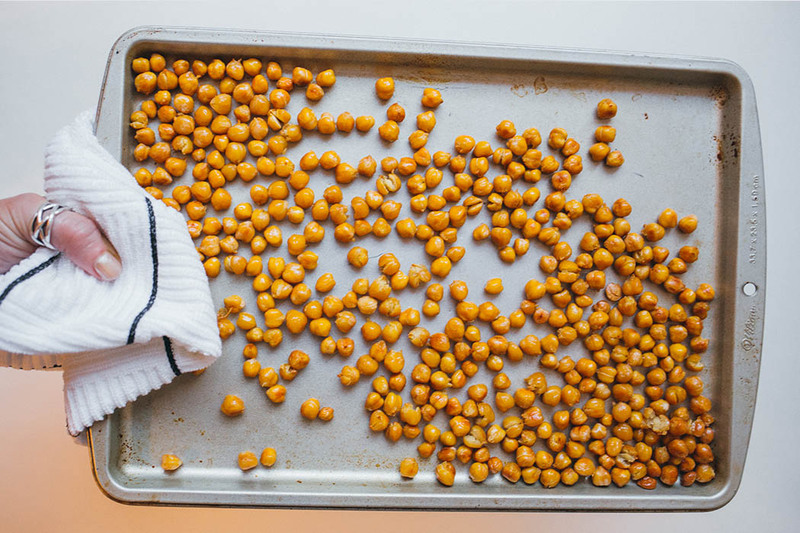 These Crunchy garbanzos are easy to make and can be eaten with so many different meals. You can use them to top off almost any salad, toss them on a stir fry for a bit of crunch, mix them in with roasted veggies (green beans are my favorite), or even eat them by themselves. 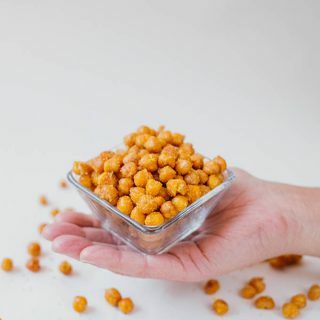 They are the new sophisticated (and way better for you) version of Corn Nuts! Remember those?! I made a big batch this week and we have been snacking like little birds! 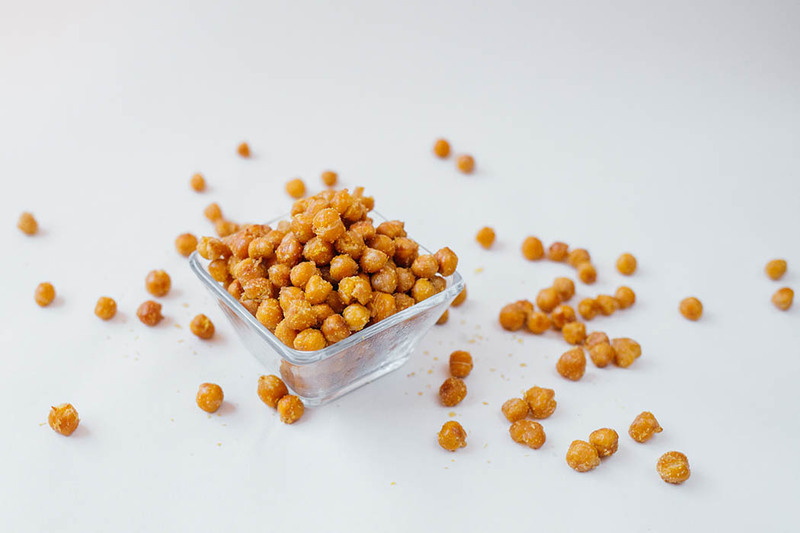 Crispy, salty and slightly cheesy chickpeas. They are easy to make, and can be used on top of a variety of recipes or enjoyed on their own. Lay garbanzo beans flat on baking sheet. Making sure none are on top of each other! 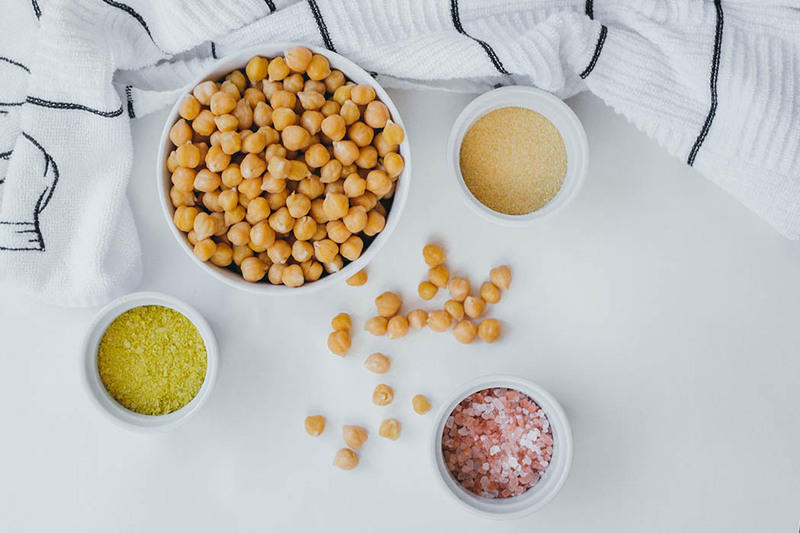 Lightly drizzle melted coconut oil over the garbanzo beans and shake baking sheet back-and-forth lightly to ensure that the oil covers them all evenly. Bake 10 minutes, remove from oven to rotate beans (just a simple shake of the sheet again), placing back in oven. Repeat above process 2 to 3 more times, depending on how crunchy you want the beans. Recipe makes  1/2 cup servings. Feel free to adjust spices to your liking– if you enjoy a little kick, add in some cayenne or paprika! They keep in a air tight jar or tupperware for 3-5 days. We eat a TON of garbanzos in our house– because they are so versatile, it is easy to do. We use them in the obvious hummus, soups/stews/chilis, we also enjoy them ground in their flour state and have recently started baking cookies with them! You also get a lot of bang for your buck with garbanzos. One cup of these little guys contains roughly 270 calories but packs 50% of the fiber, 29% of the protein and 85% of the manganese we need to consume daily. 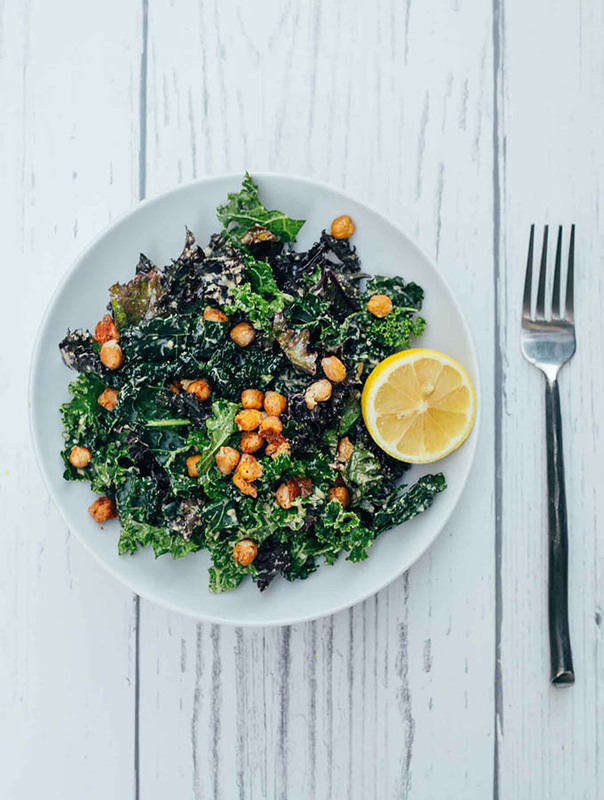 Manganese is a key energy-producing antioxidant, that is known for reducing our risk of heart disease.